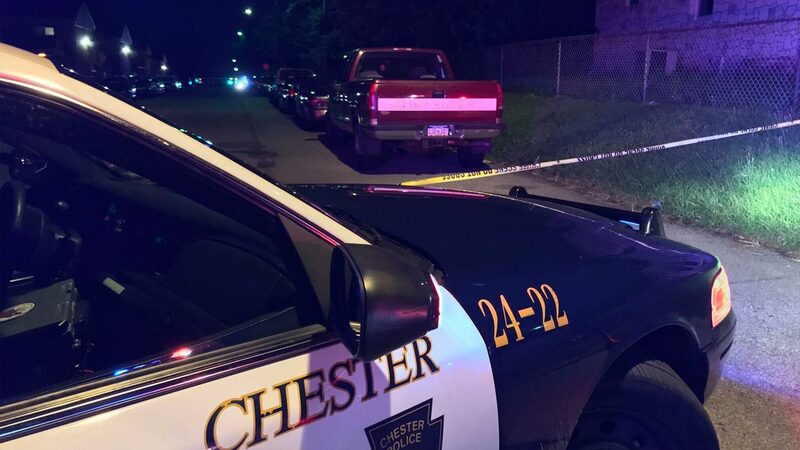 CHESTER, Pa. (WPVI) -- A shooting in Chester, Pa. left three men wounded. Police officers were called to the area of W. 10th and Tilghman streets shortly before midnight Saturday. They found one man in the roadway with a gunshot wound to the neck. He is now being treated at the hospital. Meanwhile, officers learned two more shooting victims were at Crozer Chester Medical Center. They were hit while walking in the 1000 block of Tilghman St. Both were hit in the left arm. Anyone with information is asked to contact Chester police.